SPIDIR are an informal ecumenical Christian network promoting spiritual direction. They run groups throughout London and the South East of the UK. Rebuild the existing Google Pages site which was hard to edit, and had limited options for promoting groups and courses. The primary goal was to allow people to apply online for their various services and courses, by completing forms on the website, rather than the outdated method of downloading and filling out PDF files then emailing them. Rebuild the site using WordPress. Add an online referral form to replace the old method of printing and emailing a PDF. Add a course page, displaying details and location on a Google Map. A form is displayed at the bottom of the page allowing the site visitor to apply without the need to print out and email a PDF. Add a blog to promote their work and upcoming events. 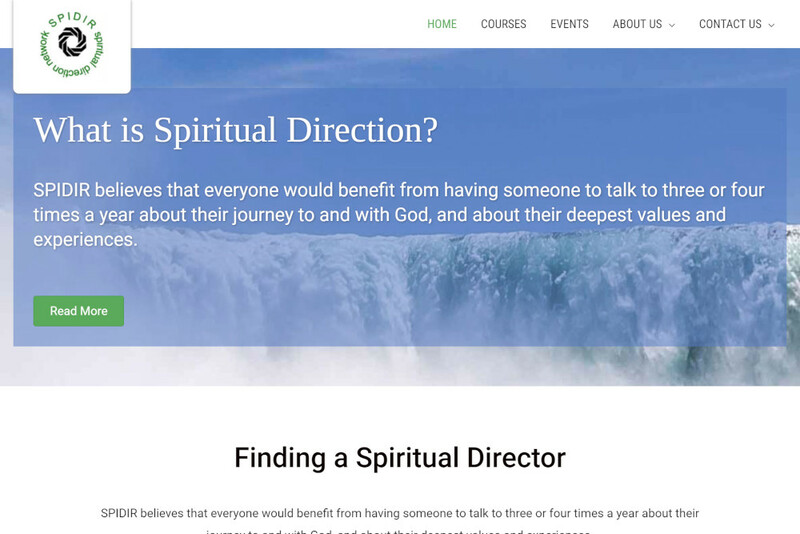 SPIDIR is a network of Spiritual Directors, providing training and referring people to those who are trained to accompany them on their spiritual journey. Our old website was out of date and inflexible. We wanted a new look and something more user friendly, which would enable people looking for support to be able to connect with us more easily. The new website is much brighter and fresher, and more appealing to look at. It is easier for someone looking for a spiritual director to fill in an online form and send it through to us. We would definitely recommend you, mainly because of the excellent work you have done for us, and the way you have supported us through the process, patient when we’ve been slow to respond, and very clear in your instructions about what we need to do.